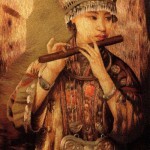 Fabulous ancient China – country of emperors, porcelain, mandarins, peon trees and of course, silkworm. And an aura of mystery surrounds the weightless finest silk, with the secret of silk production for more than 5 000 years. In fact, it is as old as the Chinese civilization. 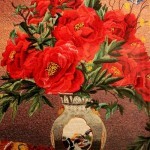 Considered the attribute of luxury, richness and good flavor, Chinese art of silk embroidery has no equal in the world. 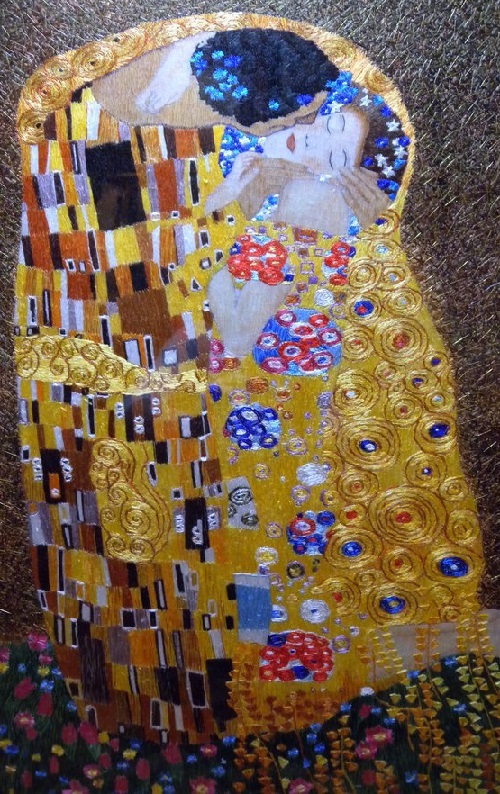 Besides, a skillfully embroidered masterpiece is impossible to distinguish from a photograph or a painting at a distance of 2 steps. 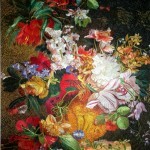 Noteworthy, the history of silk embroidery on silk has more than 2000 years. Meanwhile, the three-dimensional image is achieved by using different thickness of the thread of the silkworm, laid in different directions. 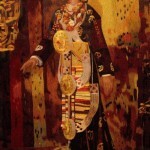 And the most difficult part – considered embroidery of eyes, face and hands. 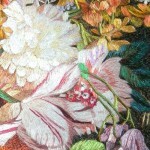 When embroidering pupil, the master uses 1/32 1/64 thickness of the thread. Packing pattern background executed half of the thickness of the thread of the silkworm. And only this fact tells about the uniqueness and hard work. 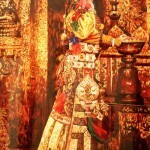 As the Chinese say, when embroidering the craftsmen use hundreds of colors and shades. In some paintings even a thousand colors. Of course, you can entrust the artwork to modern machines, but according to experts, sewing machine tears finest precious thread. Also, perhaps, only Chinese craftsmen are able to embroider their work 12 hours a day, 7 days a week. 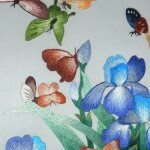 According to the Chinese masters, even under direct sunlight embroidered paintings do not lose their freshness, brightness and color appeal. 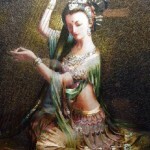 If a one-sided silk embroidery on silk called the pearl of Chinese craftsmanship, the double-sided embroidery is a diamond. 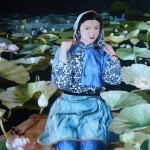 In fact, it is a whole story, embroidered on the finest silk canvas on both sides, the picture is placed in a special screen that can rotate around its axis, giving the opportunity to admire the “mirror” image of the painting. How it is possible to embroider a double-sided pattern is known only to real embroiderers, and their secrets are passed on from generation to generation. 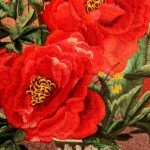 If we said about the pearl and diamond Chinese embroidery, then how can we call “tripartite” Chinese embroidery? This embroidery looks the same as the double-sided embroidery, only has two different paintings, executed on the same silk fabric. On each side – its picture. And the pictures are of different plot, different color versions and different embroidery area. To see the picture on the back of the screen is possible only when unfolded. 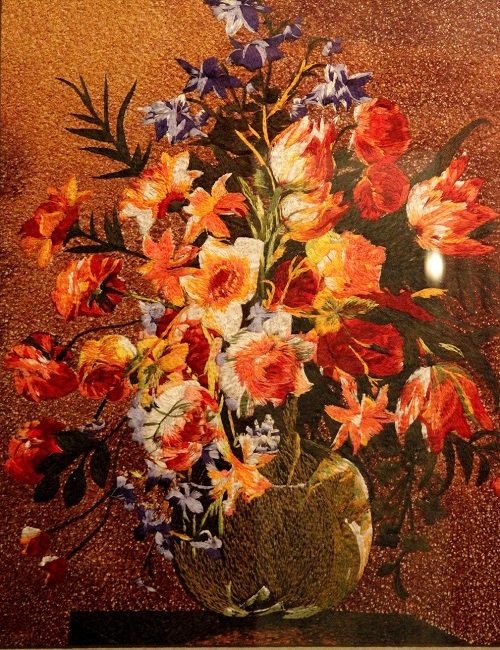 Unfortunately, there are few artists able to sew such a miracle, and one small embroidered picture takes not less than 6 months of hard work. 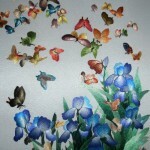 All silk paintings tend to reflect light, visually perceived as a way out of the energy flow. This is due to the refraction of light on the edges of the silk thread. Skillful use of this feature of silk thread leads to the fact that the painting “glow” and eye-catching, fascinating, mesmerizing, evoke the feeling of make-up energy. 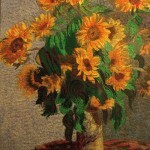 All paintings include good characters, bringing health, wealth, joy, happiness, well-being. There is nothing more to explain about the exclusivity of each work. 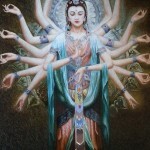 Guan Yin is surrounded by legends of salvation and deliverance from the great danger of miracles and healings power, allowing to break the chain of misery and suffering. 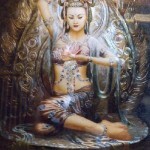 Quan Yin can change the course of rivers and seas movement as well as tame a raging torrent of destiny and desires. Thomas Lawrence (1769-1830) was the most celebrated portraitist of the late 18th – early 19th century, in which the art was not just naturalism, but very strong idealism. Poses of his models were perfectly impressive. The artist became famous for his portraits of the age of ten, depicting Queen Charlotte, when she was only twenty years old, and after the death of Sir Joshua Reynolds’s court painter was appointed painter to the king. 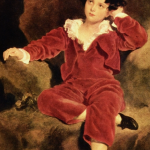 One of the classic British children’s portraits – “Boy in a velvet suit.” Silk embroidery done in multiple layers and passes incomparable luster of velvet suit.